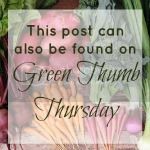 Welcome to this week’s Green Thumb Thursday; I apologize that I am running a little this week. We are back to homeschooling this week and the new schedule has me hopping! The feature this week is from Little Owl Crunchy Momma. 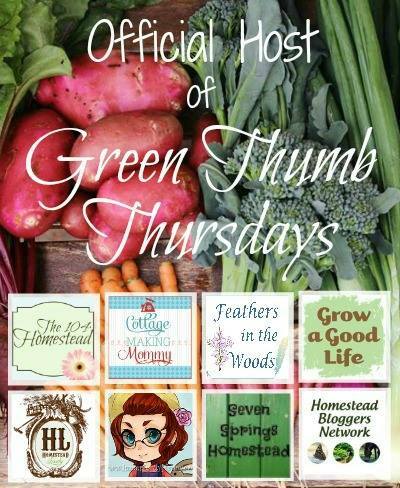 The momma is Jacquelyn Byers and she has a wealth of information on her blog for you. 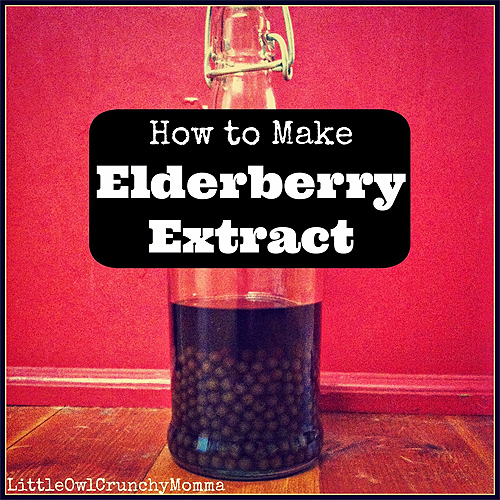 The post I am excited to share with you is how to make an elderberry extract. The elderberry has medicinal uses for the flu, immune boosting, sinuses, body aches, nere pain and even chronic fatigue. It is also used to make wine and flavor foods. “Last year when we lived on the farm we found a large elderberry tree that had LOTS of fruit on it. We harvested a bunch (learn how you can, too!) and have since been enjoying finding new ways to use the berries. One thing I did right after harvesting the fresh berries last year was make elderberry extract (or elderberry tincture). Continue Reading – How to make elderberry extract.